The CNA classes located in Washington, District of Columbia are all detailed on this page. For any questions, please call the program with the provided contact number.These course have met the recommended standards of education set by the district and will enable one to qualify for testing. Enrolling in certified nursing assistant classes in Washington District of Columbia is an essential part of obtaining a certification from that state. Although there are other ways of working there as a CNA if you have prior experience, for instance applying for reciprocity or being a nursing student, taking a state approved class is a way of getting the certification if you do not come from a medical background. The programs are all aimed at providing the best training and education that you can get so that you would be able to perform well once you get the job. CNAs work under the supervision of a licensed physician or a registered nurse and they take all of their orders from their superiors. They assist patients and those who require personal assistance in their day to day personal grooming and care. They help patients with bathing, eating, dressing and grooming. They also make beds and take vital signs such as pulse and respiratory rate of their patients. They also record their patient’s intake of food and medications and record their effects on the patient. Aside from that, they can also administer medication to patients if directed by the supervising nurse or physician. The required training for a CNA in the District of Columbia contains at least 120 hours which should include 45 hours of classroom training and 45 hours of clinical practice as well. They are supposed to provide the student with all the necessary nurse aide skills and information concerning their future work. There are various training facilities which are approved by the District of Columbia Department of Health. They are the Educational Training Wethersfield which provides two weeks of training at a cost of $1,400. They require a high school diploma as well as a negative TB test result and a physical exam before one can be admitted to the training. The next is the Bethel Training Institute, Inc. which offers a five-week training program for $1,100. And the last is the Capital Health Institute School of Practical Nursing which also offers the same program. The age limit that is set for these schools is 18 years old. 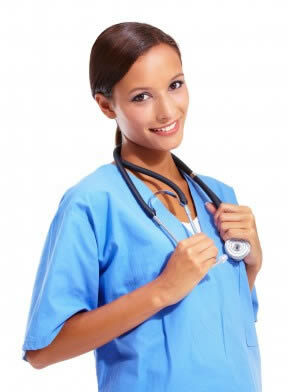 The average salary for a nursing assistant in the District of Columbia is about $3,300 per annum. One can have a starting salary of about $10 per hour which translates to an annual salary of about $25,000 to $28,000. There are a lot of factors which affects one’s chances of earning a higher income such as location, the type of facility or employer that one has, and the years of experience that he has. Of course the longer that you had been working as a nursing assistant would give you a higher hourly wage than one who had just graduated from a training program. There are a lot of job opportunities for those who would like to work as a CNA in DC. The state has experienced a growth in the demand for health workers of such nature and more and more people are requiring personal assistance in their daily living especially the elderly. This city serves as the capital of the United States. This city is commonly referred to as simply Washington or sometimes “The District”. It has a total area of 68.3 sq miles, where 6.9 square miles of it is water. As if the 2011 census, the government estimated a total of 617,996 residents, making it the 25th most populous city in the country. It has a population density of 10,065/sq mile. There are a number of health care providers that are located in the area, they include Georgetown University Hospital, DC Healthcare Alliance Main, Woodley House Inc., Centennial Healthcare Corp-Dip, Lucas Associates, Amidon Arlene, Revolution Health Group, Community Connections, and many more.